After just missing out the last three years, Creighton Farms has finally crept into the top 5 with this home from Casey Margenau at RE/MAX Distinctive. Sold by Bill Davis of Century 21 New Millennium, this Apex Custom Homes design was the only new construction to squeeze into the top five. With over 8800 square feet, 5 bedrooms, 4 full and 2 half baths, a gourmet kitchen, media room, and game room, this is the largest home in the top 5. As an added bonus, Jack Nicklaus and RGIII are neighbors and you may find them on Jack’s Signature Golf Course. Listed by June Hambrick of Hunt Country Sotheby’s, this home was sold by Richard Wang of Fairfax Realty. While it is the only non-traditional sale to make this year’s top 5, it’s not the first to make our list (#7 in 2010 was a famous foreclosure). Three parcels made up this 95 acre estate featuring a 5 bedroom, 5 bath, 8300 square foot home and indoor/outdoor pools. Along with a 2 bedroom guest house, stables and a riding ring, this was an equestrian lover’s dream! Another top 5 home listed by Casey Margenau of RE/MAX Distinctive, this property was on the market for 551 days. 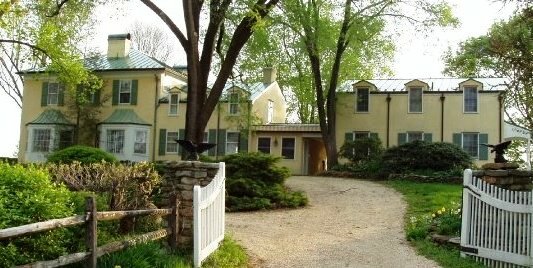 The renovated manor home was built in the late 1700’s, has 3 bedrooms, 2.5 baths, and a wine tasting room for the Swedenburg Vineyard, which is part of the estate. 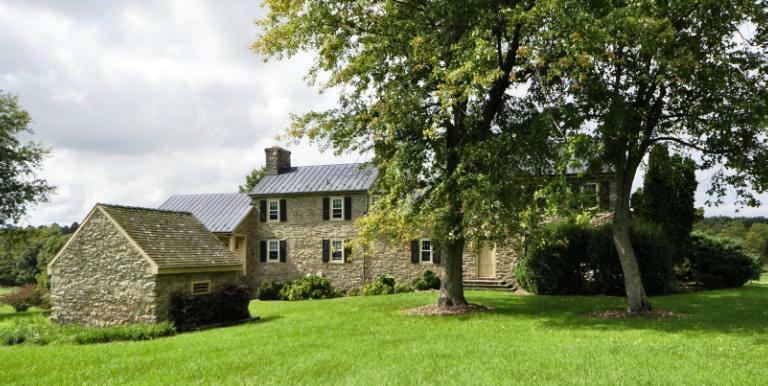 Situated on 128 acres, the sale also included a caretaker home, barns, a smokehouse, and a pond. Listed and sold by John Coles of Thomas & Talbot, this luxury property took 5 years to find a new owner. A Georgian manor home with 8 bedrooms, 5.5 baths, and 5478 square feet, the best feature might be the 8 fireplaces (especially since it’s -1 degree with the wind chill this morning). The 165 acre estate also offered a swimming pool, pool house, barn, and a 3 bedroom tenant house. And the most expensive home sold in LoCo for 2013? Listed and sold by Paul McMahon of Sheridan-Mac Mahon Ltd., Meadowkirk is a retreat on 358 acres featuring a manor house (seems a lot of these are “manor” homes), 20 room inn, three cottages, meeting space and a dining hall. Recently renovated, The Manor House was originally built in 1905 and has 8 bedrooms with attached full baths, 6 fireplaces, a library, and a swimming pool. The estate also offers hiking trails, tubing on Goose Creek, and stargazing in the Brinton Observatory. So there they are, the most expensive homes sold last year. My favorite was the home in Creighton. I love new construction and dark hardwoods… and the fact that it’s in a golf course community didn’t hurt either. What’s your favorite?